This entry was posted in abortion, Children, Christians/Christianity, Culture War, Evil, God's creation, LGBT, Liberals/Democrats/Left, Pro-Life, Radical feminists, United States and tagged Andrew Cuomo, Catholic Church, late term abortion, New York State Assembly. Bookmark the permalink. Oh my Lord! What unspeakable evil and cruelty! America will NEVER regain God’s blessing as long as it remains legal to kill the unborn. Where are the churches on this matter? Preachers will be judged harshly by God for their refusal to stand up and defend all of those millions of precious babies, murdered while still in the womb! The evil just keeps coming and coming and coming. Dear God Almighty, how much longer shall this last? How much longer before your son Jesus Christ returns? May he come quickly! Ah, but this is ok? Got it. I would comment on this genocidal insanity, but I just popped for a new pooter, and my spiffy new HP keyboard “F” key is undamaged – for the time being. OK…let me go full out crazy on this (or, AKA….conservative, Chistian American of my day…. ): “By your fruits you shall be known.” Period. When you mess with God’s Creation, specifically here Glick’s rebuttal of it in choosing homosexuality, the integrity of family falls apart. And the weakest member of family becomes the next victim. Thank you Dr. Eowyn for this incredible post. This is truly the work of the devil and his intervention in humankind. 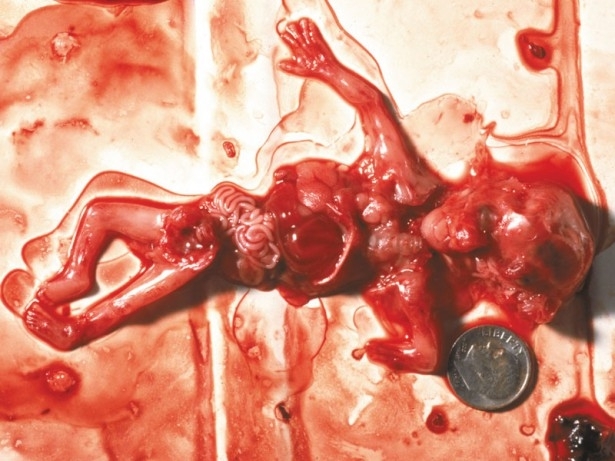 This is murder, infanticide. We must pray that the New York Senate stop this terrible legislation. We must pray to Our Lord and the Blessed Mother to intervene and to help us stop this evil. We must pray very hard especially for the New York Right to Life. How SICK are these people who would do such a thing to an unborn child. Can you imagine how they must FEEL. Yes I said FEEL. Get it through your head that these CHILDREN FEEL EVERYTHING YOU DO AND HEAR EVERYTHING YOU SAY.